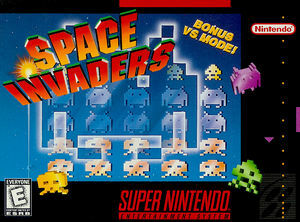 The unrelenting alien invasion now returns in its original format in Space Invaders: The Original Game. Old-timers will delight in finding their favorite screen-type to play once more. Novices can quickly get the hang of it and show them "how-it's-done." Intense competitors will delight in the new VS. mode that offers a fast, fierce, furious contest of itchy-trigger-finger satisfying action.